Mar Menor GoKarts Go-Karts Mar Menor invites you to spend an unforgettable day with your family and friends. 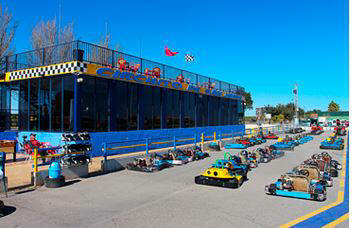 One of the best Go-Kart sites is at San Javier, almost next door to the airport on the way to Los Alcazares. This is called Go Karts Mar Menor. The track is more than 1,100meters long. Here you will find karts for two this is so dad, or mum can drive and the young children can experience the ride of a life time. Go–karting, Mar Menor, Costa Blanca and Murcia Usually you have around 6 – 8 laps depending on how busy the circuit is. There is a bar and café with good food choice, viewing area and grandstand on the roof, ample free parking. The karts are all very well looked after and safety is a priority. Beginners and professional are all welcome. 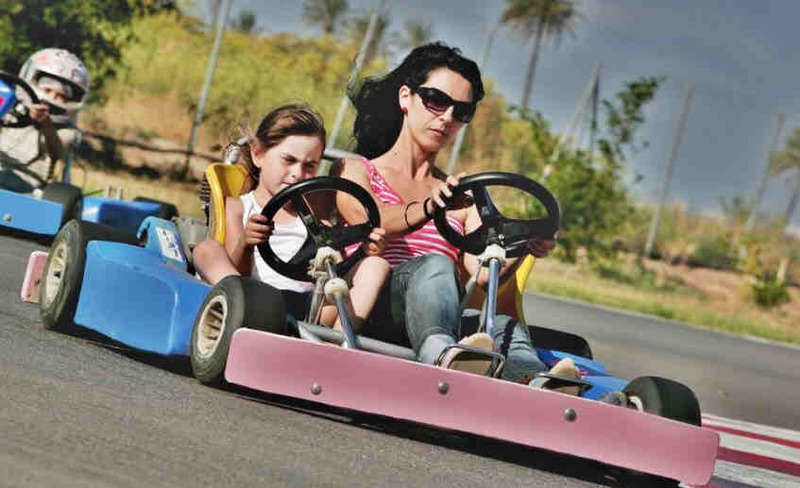 Go-Karts Mar Menor invites you to spend an unforgettable day with your family and friends. Show your friends your driving skills and demonstrate your skills behind the wheel in the new circuit layout that has an approximate length of 1,100 meters, having increased by more than 700 meters from the old layout. With a total of 10 curves, sense of rotation is clockwise. The circuit is also provided with a transponder system that controls the times and speeds independently in each of the vehicles in the F200 class, which is the category that groups organize races. 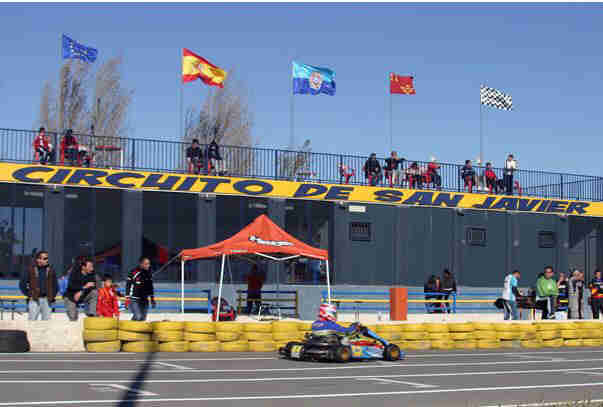 Go-Karts Mar Menor is certainly a familiar circuit for young and old, as they have rental karts for all ages. From Monoplaza F100 karts intended for pilots with no previous experience, to F400 where you will experience the ultimate thrill. Tandem karts feature addition, these vehicles are intended for the little ones can enjoy the circuit and the speed they move to allow an adult accompanying a child up to 5 years. Include Cafeteria / Snack Bar, where you can enjoy a variety of dishes and tapas for lunch or dinner. Only a short drive from the Airport. Great fun for the kids and adults a like. GO-KARTS MAR MENOR Mar Menor GoKarts. 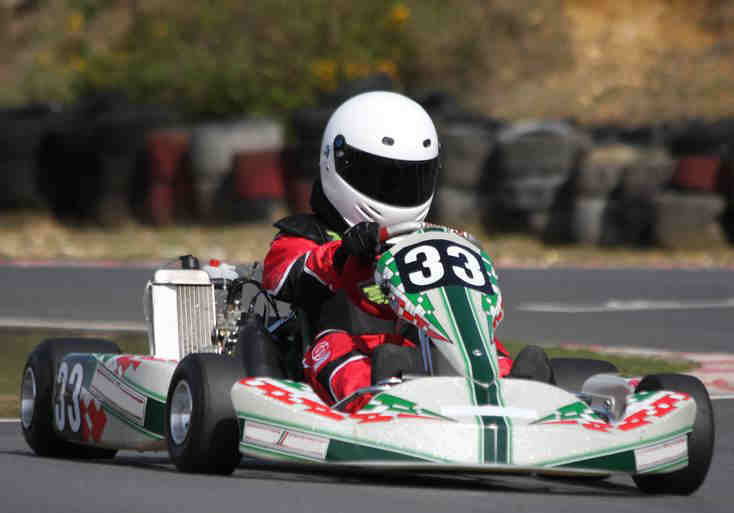 Mar Menor Karting Track is great fun for all ages and abilities. The track is 1.1km in length and has 4 left-hand bends and 6 right-hand bends. Go Karts Mar Menor 2014. Go-Karts Mar Menor has also participated in several “inter-track” competition, having a team of more than 30 drivers with their own Karts 400 cm3. The various races have been raced in circuits such as Bullas, La Cala (Benidorm), Karting Alacant Villa Openness, Karting Oliva (Valencia), etc.. Likewise has also participated in various competitions such as road courses Roldan, La Puebla de Cartagena and Villarobledo (Albacete), among others. Click above for Discounted prices of Hotels Apartments and Guest Houses on The Mar Menor Spain.